The rush for MBA degree and a job as a ‘manager’ was and is as original to America as an apple pie. A well educated hero in Telugu movies of good ole days is a medical doctor or an engineer. Now, the lead character in Telugu movies are often MBA graduates. If you thought an MBA in finance will help you land a lucrative and highly paid job, you could be right. This chart says it all. 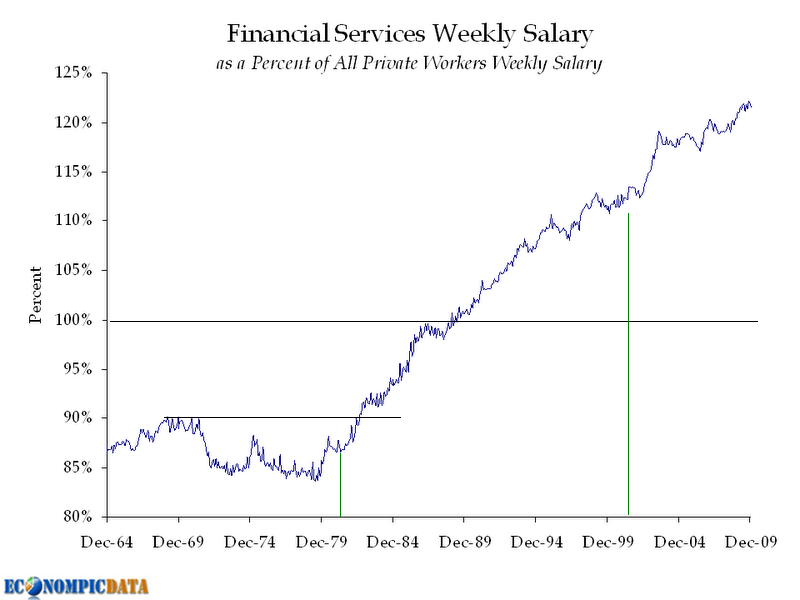 Unfortunately, in the last 20 years, financial services jobs out paid the productive workers in the economy. In 2007 the entire financial sector was only 17% of Fortune 500 companies but produced over 45% of the profits. In other words, the least productive sector of the economy accounted for the most profits.